Every year during the month of April, the design cognoscenti take over the entire city of Milan, Italy for the annual Salone del Mobile. The 57th annual international furniture fair gathered over 300,000 devotees, manufacturers, students and press agents displaying the most “of the moment” contemporary design. There is no better time and place in the world to get a sense of where design is now, where it has been historically and what trends will set the course for the upcoming months. 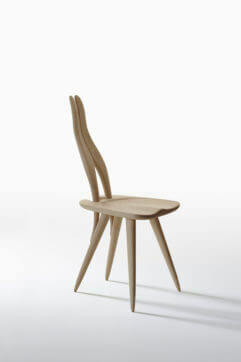 The notion of environmental consciousness and sustainability was an important message that was seen in the use of recyclable, post industrial waste combined with the beauty of molded wood in Kartell’s Woody seating collection. 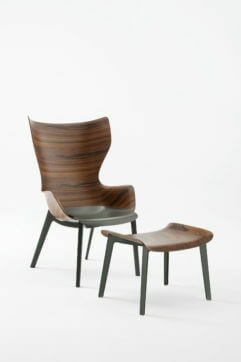 Phillippe Starck, the designer of the collection, stated “Woody is not a fantasy because it is based on the basic human need to be surrounded by signs that remind one of nature and predict the future.” Stewardship in another form, respecting the legacy of the past, was showcased in the reintroduction of Carlo Mollino’s iconic 1959 Fenis chair for Zanotta. Color trends also reflected the preoccupation with nature via shades of moss green, sage, yellow ochre, clay and rose-y pink. There was a softness to the palette that calmed the eye. 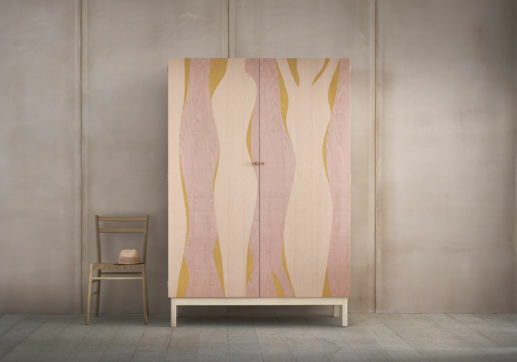 Pinch’s Elan Armoire for The Future Perfect, renders the fluid memory of a sculpture created by the designer’s father in a gentle pastel color story as its amorphous shapes are translated in a marquetry inlay of birch veneer. 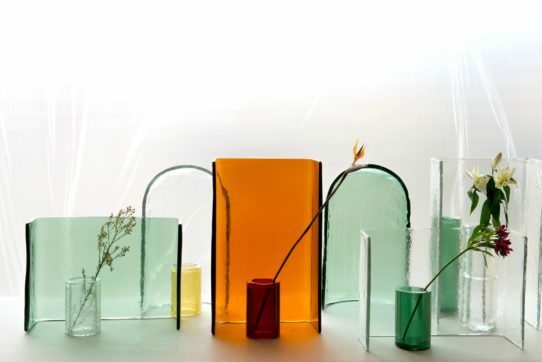 The Bouroullec brothers’ Alcova collection for Wonderglass, consists of two, thick walled elements of colored glass —a cylindrical vase and a partner screen—that highlights the craftsmanship of casting in tones of green, yellow, orange and colorless transparency. 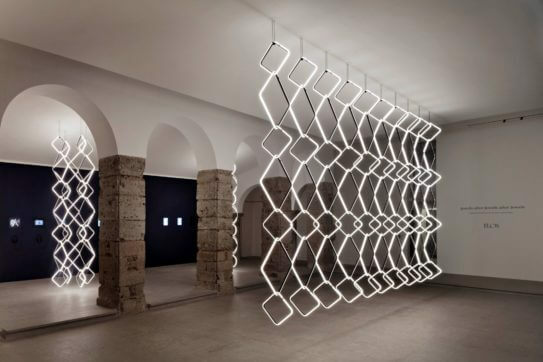 The Cypriot designer, Michael Anastassiades, continues to explore the poetic use of light and the reduced vocabulary of geometric forms. 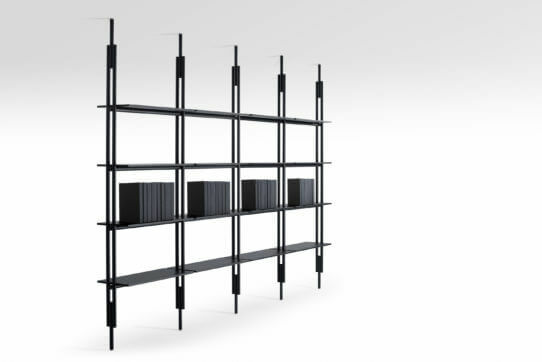 His Jack bookcase system for B&B Italia and Arrangements lighting collection for Flos both investigate the disciplined restraint of modularity and how a limited number of elements can create a multitude of compositions. For any additional source information or to order any of these pieces, please contact Tom Vriesman.